Browse posts released in January 2010. See all archives. 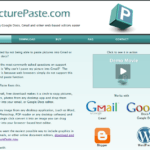 PicturePaste: Paste Pictures into Gmail, Hotmail, etc.